- Publisher Many strong believers begin to feel disillusioned with God or to doubt their faith when faced with great pain or suffering. Even the strongest believers may begin to wonder where God is when they need him most or why he doesn't seem to care. In this book Philip Yancey inspires those for whom life hurts to look beyond their immediate suffering and to understand that God is offering an invitation to hope and a doorway to his gracious gifts. Many strong believers begin to feel disillusioned with God or to doubt their faith when faced with great pain or suffering. Even the strongest believers may begin to wonder where God is when they need him most or why he doesn't seem to care. 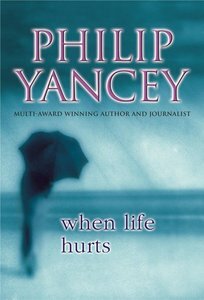 In this book Philip Yancey inspires those for whom life hurts to look beyond their immediate suffering and to understand that God is offering an invitation to hope and a doorway to his gracious gifts.